Just following up a bit on this past Saturday morning's post where I mentioned the New York City Marathon. On Marathon Eve (last Saturday night), fireworks dazzled the sky in Central Park, as they always do the night before the event. 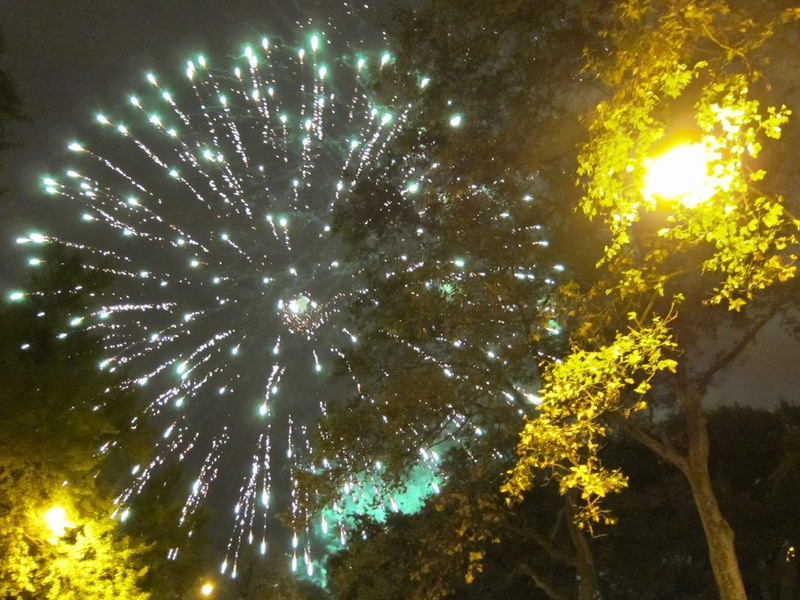 The photograph above, taken in Central Park, shows one of the fireworks which had a champagne bubbles quality. I am certain champagne was uncorked for various runners who completed the race, judging by the number of people I saw carrying bags bearing names of liquor stores. Edison Peña, whom I wrote about in Saturday morning's post, was Runner # 7127, and, after stopping two hours into the race to receive medical attention for his knee, completed the Marathon in five hours, forty minutes and fifty-one seconds. At the time of my posting I had not realized that, once the organizers of the New York City Marathon learned that while trapped in the mine, Peña cut his steel-tipped electrician boots down to ankle size so that he could run the 1,000-yard corridor, they initially invited him to participate in the race by riding in a lead vehicle, or to hold the tape at the finish-line. Not one of the organizers had imagined he would respond to their invitation with a request that he run the Marathon. Peña's desire to participate thrilled the New York Road Runners. Prior to the Marathon the New York Road Runners President, Mary Wittenberg, stated, "The ING New York City Marathon is all about inspiration and perseverance, and those values were never more evident than during the survival and rescue of Edison and his brothers in that mine." It is easy to hear stories of survival and be inspired, but it is even more powerful when it is learned that the survivor had been on the verge of giving in to despair. Peña confesses that for the first eighteen days of being trapped in the mine, he sat in a corner waiting to die, but after the miners were discovered, he focused on the Elvis Presley tunes on his i-pod (and later other Presley tunes that were sent to him from Graceland, where he has been invited to vacation). When Peña crossed the finish-line this past Sunday, it is reported that the crowds of people sang in unison, "You give me hope and consolation, you give me strength to carry on . . ." from Presley's song, "The Wonder of You". 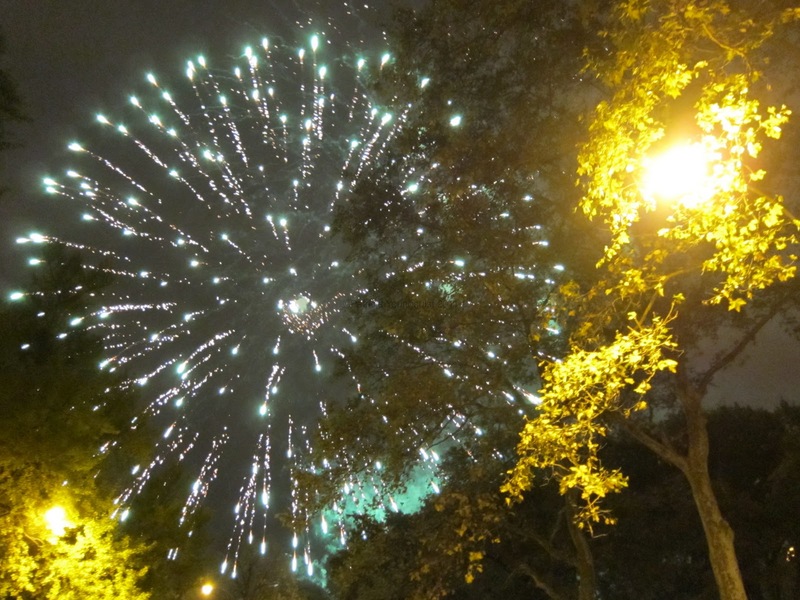 The lyrics rang throughout Central Park, that day of the race, where the noise from the banging and popping of the fireworks had dominated on the Marathon's Eve.